While North Dakota has a reputation for being quiet and safe – its official nickname is the “Peace Garden State,” after all – no place is without history. Some of that history is truly terrifying – and some of it you probably have never heard of. These gruesome, sad, and creepy stories are all true, but you probably didn’t learn about them in history class. How many of them do you know? 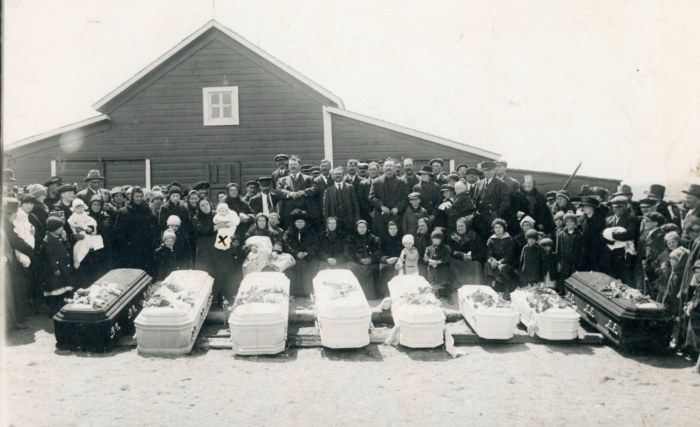 In April of 1920, one of North Dakota's most brutal and sad murder stories ever occurred. An entire family consisting of Jakob Wolf, his wife Beata, their five young daughters, and a hired boy of only 13, were all murdered in their barn and home by a shotgun and hatchet. The only survivor was their youngest daughter of only eight months old. No one knew who did it at first and the family was laid to rest. Later it was revealed to be their neighbor, Henry Layer, who was arrested and confessed to the crime. He died in prison just 5 years later. It remains as one of the most haunting and terrible crimes in all of the state's history. 2. Minot, North Dakota - a.k.a. the 1920s "Little Chicago"
Minot has always been an interesting city. 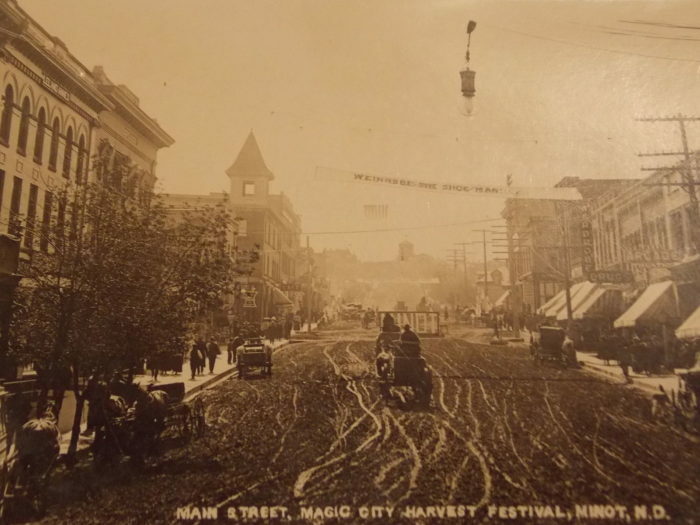 Its nickname, the "Magic City," comes from its amazingly fast growth not long after the city was founded in the late 1800s. It wasn't always known by that nickname. During the Prohibition era in the 1920s when alcohol was outlawed, it became known as "Little Chicago." This wasn't a compliment - this was due to its being rife with crime, rum-running, prostitution, and downtown opium dens. Even the infamous Al Capone had a large moonshine smuggling operation in Minot. At some points in its history Minot was also known as the "crime capital of North Dakota." Today it is a lot quieter and much safer and this part of its past seems long gone. 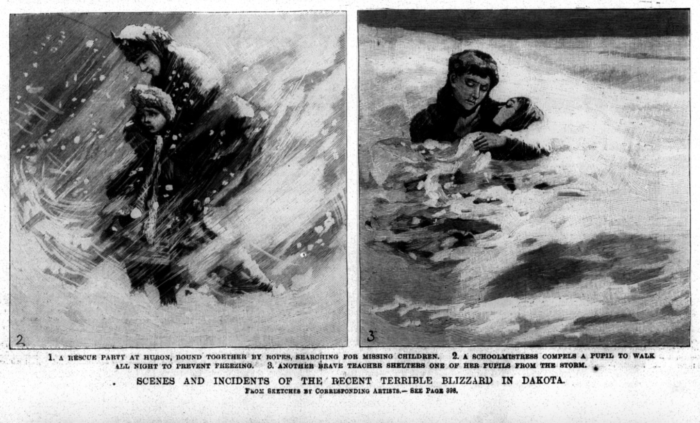 One of the worst blizzards in North Dakota's history was the Schoolhouse Blizzard of 1888. This blizzard came seemingly out of nowhere on a warm January day while many people were at work, school, or out on errands. Because of this many people were caught in the blizzard away from home and unfortunately, many died. The insane white-out conditions and temperatures well below zero caused people to get stuck and lost, ultimately dying of exposure. 235 people lost their lives that day. 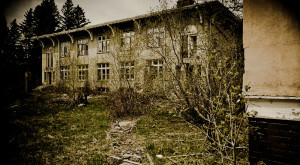 Located in the scenic Turtle Mountains in northern North Dakota, the San Haven Sanatorium has quite the dark history. As of now it is abandoned and falling to ruin over time with the help of nature and lots of vandals. 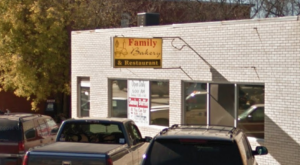 While it was still in operation it served as a few things. 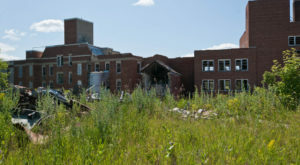 Initially it was the state hospital for tuberculosis treatment, serving a few hundred patients in just its first year. 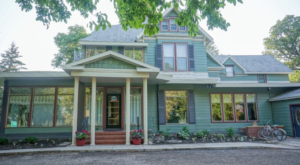 Over time as it saw less tuberculosis patients, it started hosting patients from a nearby hospital caring for people with mental disabilities. It was in this era that San Haven had its darkest stories. 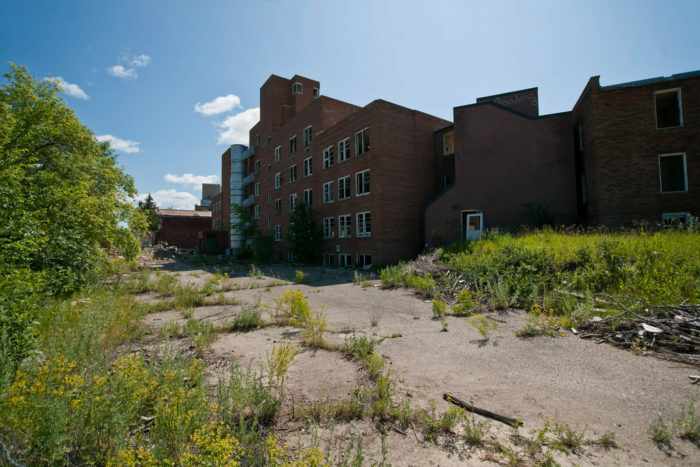 Overcrowding, lack of funds, and questionable treatment brought the facility under fire. The facility was shut down due to these issues and has remained as such ever since. 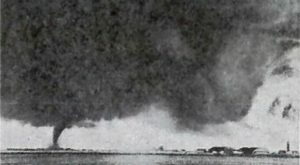 Today most all of us are familiar with the Fujita scale to rank the severity of tornadoes. The scale goes from F1 to F5, the higher the number meaning the worse the devastation the storm caused. 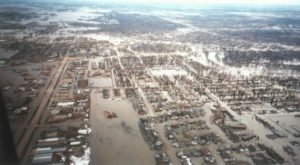 Did you know that the first time that scale was used to rank an F5 tornado was in Fargo, North Dakota? Indeed, in 1957 there was an absolutely massive tornado that ripped through the city and destroyed more than 325 houses, 15 businesses, and hundreds of cars. At the time, Dr. Fujita - the man for whom the scale is named - was in Fargo, shot the photograph above, and declared it an F5 after introducing the scale. While this is very fascinating, it is also very sad. Twelve people lost their lives on that tragic day. 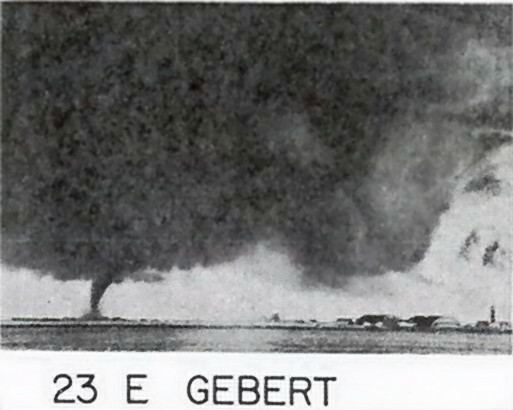 It is one of only two F5 tornadoes to ever hit North Dakota. 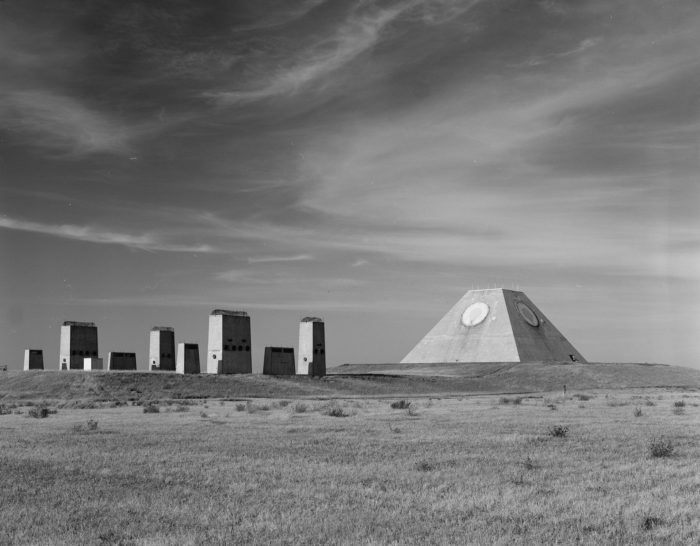 Way out in the middle of nowhere in the farmlands of North Dakota stands a huge, concrete pyramid - the last thing you'd expect. This pyramid looks positively creepy from some angles and the dilapidated structures around it certainly give off some spooky vibes. But what is this place? It's actually an abandoned military structure. It was built during the Cold War as a radar hub to detect possible incoming missiles headed for the United States. It cost billions of dollars to construct, then was active for all of three days after completion before being decommissioned. There was a series of underground tunnels beneath it that all were flooded and destroyed, but the pyramid remains. 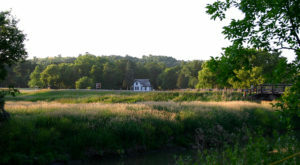 Today the land is owned privately and as of now, nothing is being done with it. After all that it turned out to be a huge waste of money with nothing to show but a creepy, concrete pyramid. What are some other creepy stories that happened in North Dakota that you know? 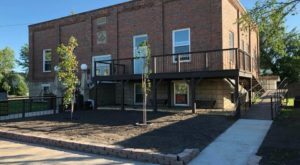 Even though places like Minot are now considered some of the safest cities in the country, it’s still a good idea to know where the best places in North Dakota are as far as lack of crime. Here are the top 10 safest places in the state to live.